Participants in the Minority Student Program at Rutgers Law School in Camden will have new opportunities to learn inside and outside of the classroom, thanks to a generous gift from Archer Law. The Haddonfield-based firm of Archer Law has pledged $100,000 over five years to support new initiatives that include offering a first-year student scholarship recipient an opportunity to interview for a summer associate position following their second year of law school, and scholarships for one second-year student and one third-year student each year. The initiatives offer students the experience of working and networking with Archer Law attorneys. The gift from Archer also provides funding for an annual pre-law conference hosted by Rutgers Law School in Camden, aimed at promoting diversity in the legal profession. 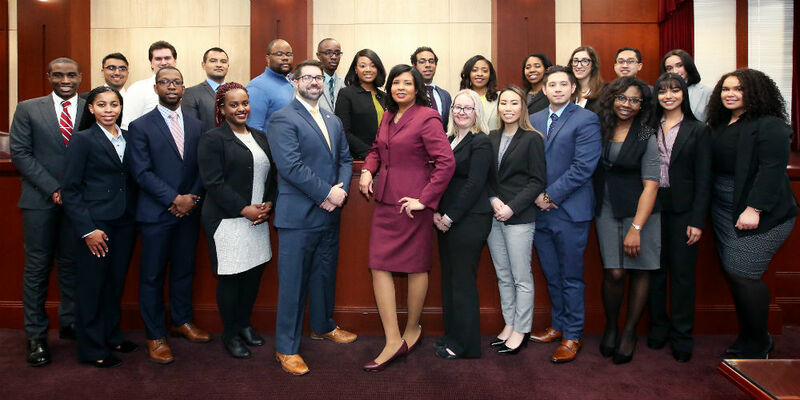 “The pre-law diversity conference helps us with filling the pipeline with law students to diversify not only the law school but also hopefully the legal profession,” says Rhasheda Douglas, director of the Minority Student Program in Camden. Archer Law has provided support to Rutgers Law for more than 20 years, including funding the Archer Moot Courtroom, the MSP Judicial Internship Program, sponsoring a variety of events, and mentoring students.